It’s no secret, people long for a life of meaning, a life that matters for something more than their own personal comfort and temporary success. 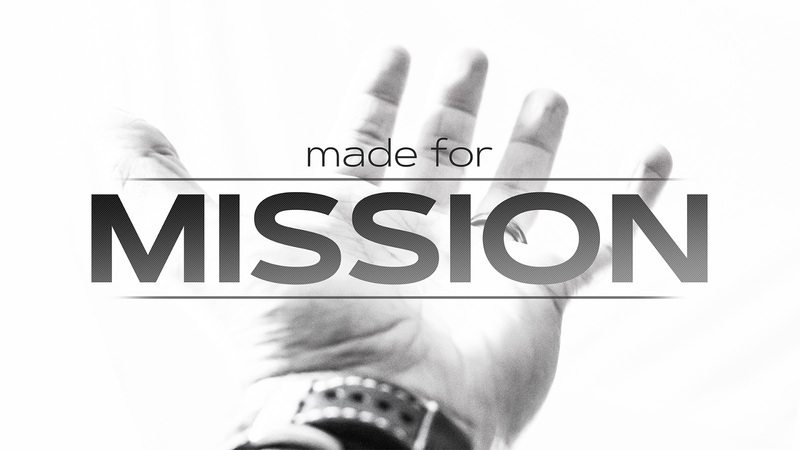 Yet, there are few lies that cripple the mission of the church more than the belief that only a select few are called to ministry. Together, we will discover the powerful message of God’s grace and what it means to share this message throughout every aspect of our lives, wherever God has placed us. One thing we will learn in this series is that that no matter where you are in life, whatever career path you have chosen, whatever gifts you think you have (or don’t have), God has made each of us unique and He has called us to follow Him because we were all Made for Mission.